Save Time and Money With Modular Construction! You can build your Dream Home with modern modular construction! See What’s Possible With Modular Home Design! Time to complete this home from the day we received building permit to final inspection was just 90 days! This two-story Craftsman style home with 3,500 sq. ft. was built in 8 modules. Features an ocean view from every room, a large front porch and two car garage. 100% modular. We invite you to take a quick tour and see what modular design offers! Super Bowl Sanctioned Event Partner! 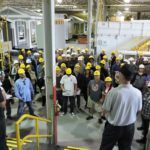 US Modular Home Builders partnered with Champion Home Builders and NGHTV to build the “Welcome Home Showcase,” a fully furnished home donated to a deserving veteran in February 2015. The 1700 sq. ft. home was unveiled onsite at the 2015 Builder’s Show. People touring the home from across the country signed the “Welcome Home” banner to greet the new homeowner at the reveal of the new, fully-furnished, energy efficient home built with modular construction. As Seen On Ellen TV! Is it possible to design and build a new house, as well as get all the necessary permits and demolish the existing home, in just 75 days?! USModular was up for the challenge! With the help of all of our partners, including GAF, Cavco West and support from the City of Santee, we built a beautiful 2,282 sq. ft 2 story home for the Conway family. 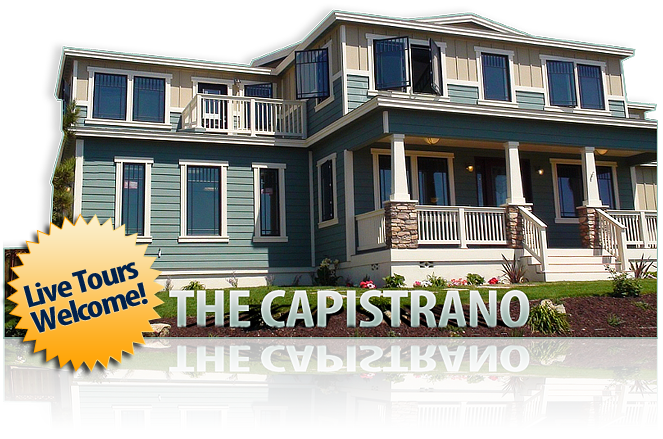 Southern California’s Largest Modular Multifamily Project! The Valencia Grove Project in Redlands, CA was built using Prefab Construction in record time! The tight knit community includes three park/playground areas, a recreational center with a swimming pool, an educational facility, and community gardens. Unlike onsite building, modular off-site construction takes place in a controlled factory environment. Sections of the home are built into “modules” that are able to be easily transported and setup in just a day on site! This method of building is much more efficient than traditional on site methods and with no compromise in quality! Modular construction comes with some great perks such as MUCH faster build time, higher efficiency, happier neighbors, and no surprise building costs coming up during construction. Want To Learn Every Detail You Need To Know About Modular Design?